Looks like we’ve got an event to dig into this weekend. 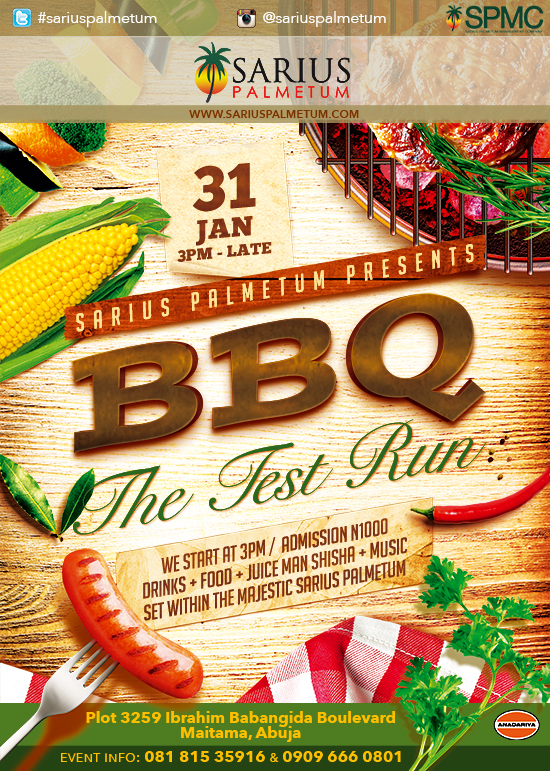 This Saturday, Sarius Palmetum, Abuja’s biggest garden will be hosting a BBQ event. Apparently its a test run to see whether it could be a monthly event. I hope it catches on as I could always do with a good fry up. Tell your friends. Definitely not to be missed. Check out the flyer above for more details. PM Dawn’s Prince B Is Dead and Its Not Cool.